Engaged couples should contact the parish at least six months before their expected wedding date. Request and turn in at the front desk a Wedding Request Form (if you plan to have your wedding at Newman-Holy Spirit) or a Request for Assistance with Marriage Preparation or Paperwork (if you plan to have your wedding elsewhere). Fr. Ivan, Fr. Paul, or Fr. Steve will then contact and work with you. If you have any questions, feel free to contact Fr. Ivan. In addition to meeting with a priest, couples are required to attend a marriage preparation class. Newman-Holy Spirit Marriage prep workshops are held on a Friday night and all day Saturday in October and in April. Download or check with the front desk for a registration form and specific dates and times. For information other marriage preparation workshops provided by the Oakland diocese, check out the diocesan website. For information on Natural Family Planning Classes, check out the diocesan website. After couples have met with a priest and decided upon a wedding date, they may meet with Colleen Lenord, our Director of Music and Liturgy. Very experienced in preparing wedding liturgies, Colleen is happy to assist you in creating a celebration that reflects your faith life and your relationship to each other. We also have a wedding coordinator, Christine, who can advise you on matters related to flowers, banners, candles, and the like. The Sacrament of Baptism is the sacrament that brings one into the life of the Church and access to other sacraments. We celebrate baptism for infant throughout the year except during the Season of Lent, when the parish is preparing for either the renewal of baptismal promises or baptism. Please drop off a Baptism Request Form at the front desk and one of the priests will contact you. If you have been asked to be a Godparent, please fill out and drop off Godparent Preparation Request Form at the front desk and we will assist with the preparation for being a godparent. If you are an adult seeking baptism, you will want to participate in a process called the RCIA, where the parish accompanies you in a process to deepen your relationship with Jesus Christ and the Catholic Church. Please contact our RCIA Director, Fr. Steve. 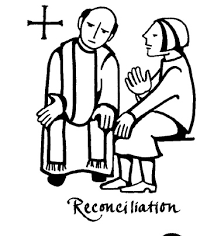 The Sacrament of Reconciliation is available at Newman on Saturdays from 3:30-4:30 pm or by appointment. For an appointment, just contact any of the priests. When CAL classes are in session during the Fall and Spring Semesters, the sacrament of reconciliation is also available Thursdays from 8-9 pm. 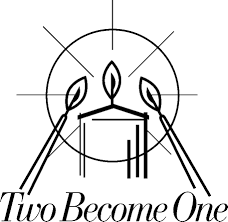 We also offer a communal celebration of reconciliation followed by individual confession during Advent and Lent. 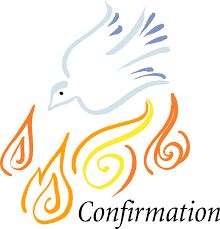 Children and teens prepare for their First Reconciliation, First Communion, and Confirmation through our Sunday Religious Education program. 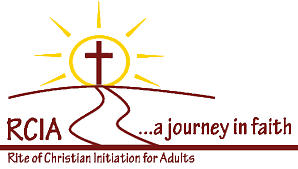 For more information, please contact Frances Rojek, our Director of Faith Formation. Click here for our First Communion Calendar. Catholic but never Confirmed? The Sacrament will be celebrated here in the Spring 2019. Preparation classes with Fr. Paul will begin in the Winter 2019. He will send you a reminder in January.